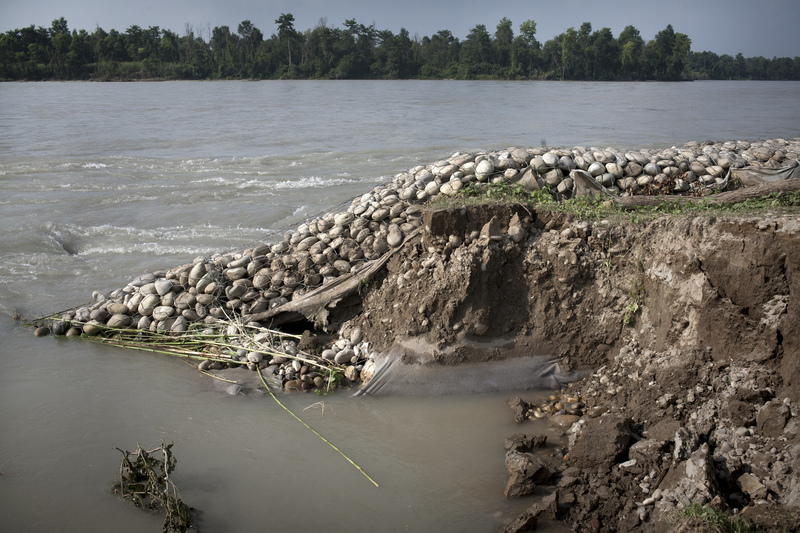 Floods have always threatened villages surrounding riverbeds in the southern plains of Nepal. 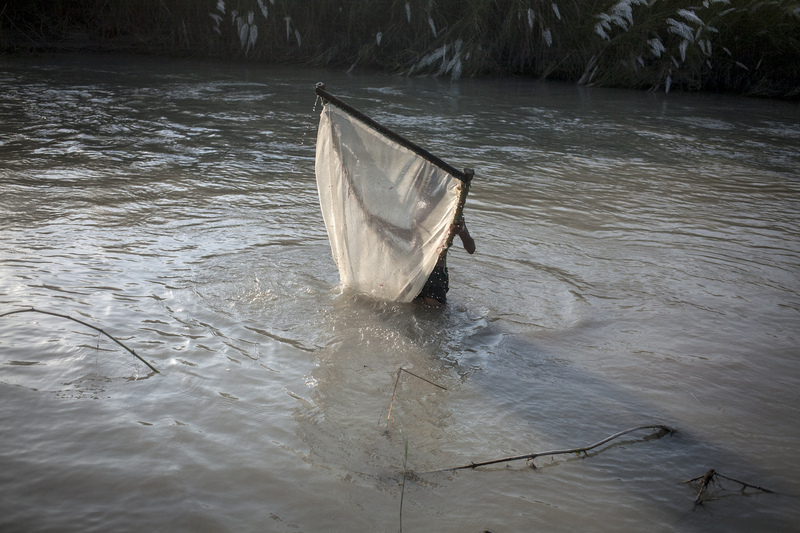 Every year, people risk their fertile lands, homes and lives to these floods. The people of Village Development Committee (VDC) Bardiya ­4 of Bardiya District, which lies in the Tarai belt in the Mid-Western region of the country, are very vulnerable to floods. 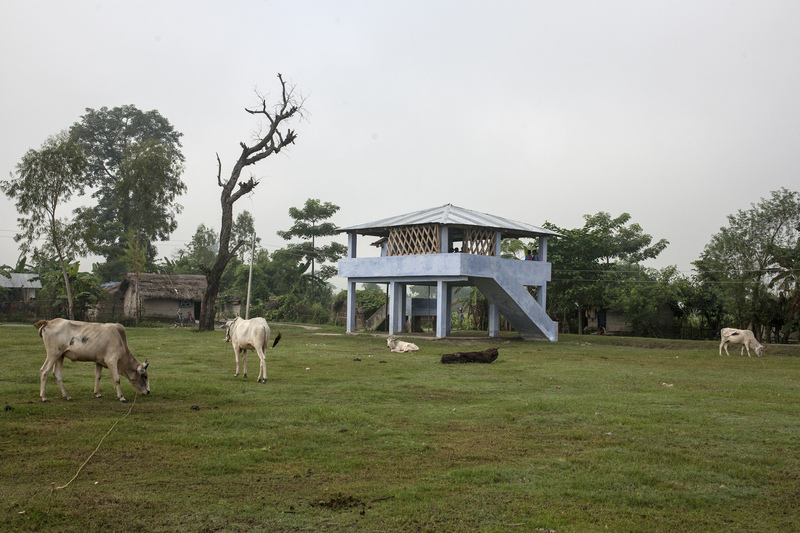 Bardiya­ 4 is surrounded by the Bardiya National Park in the east and north and by India on the west. 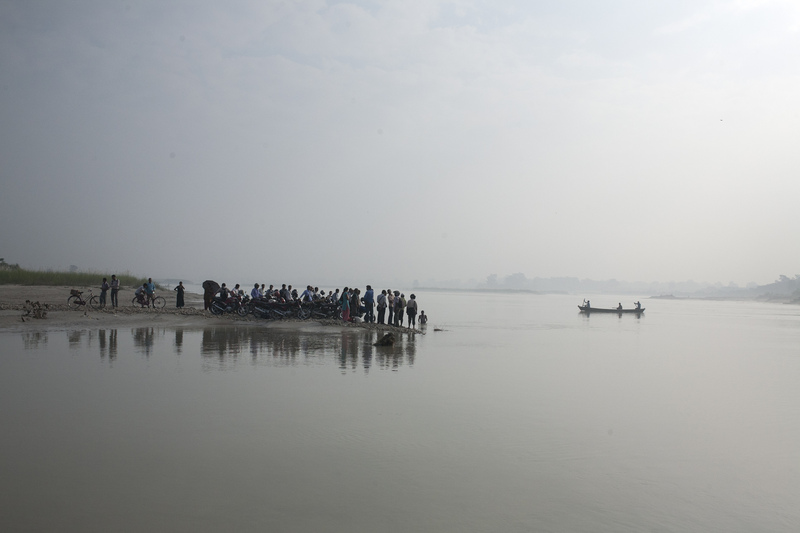 Eleven villages in the area face the massive Karnali River. 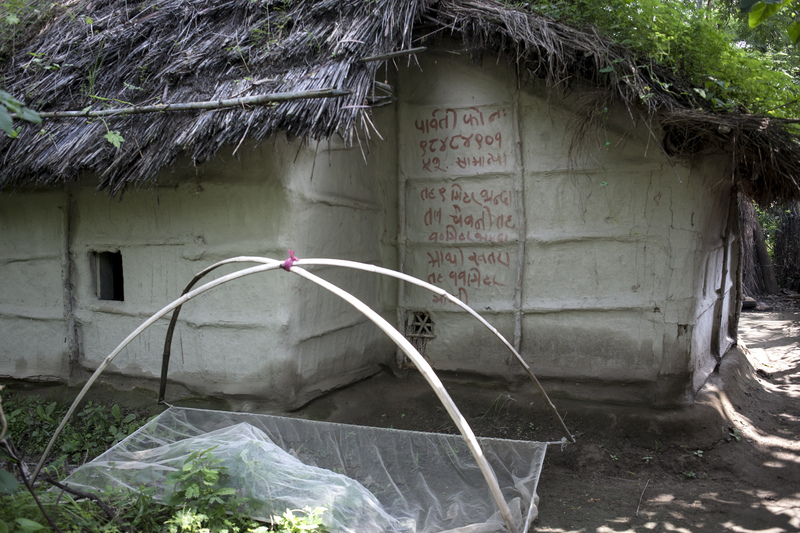 The villages Patabhar, Tighra, Manau, Khairichandanpur, Gola, Daulatpur, Rajapur, and Bhimapur are most vulnerable to flooding. “I lost my land just this week. We managed to feed our cattle by giving them half-grown crops but we couldn’t save our land,” says Sur Bahadur Tharu, 40, a resident of Daulatpur village in Manau of Bardiya­4. 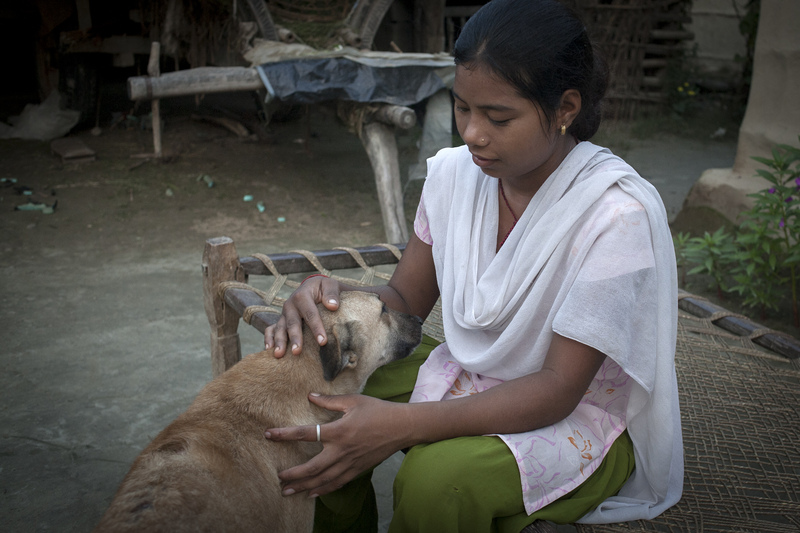 Many others in the villages face similar circumstances. 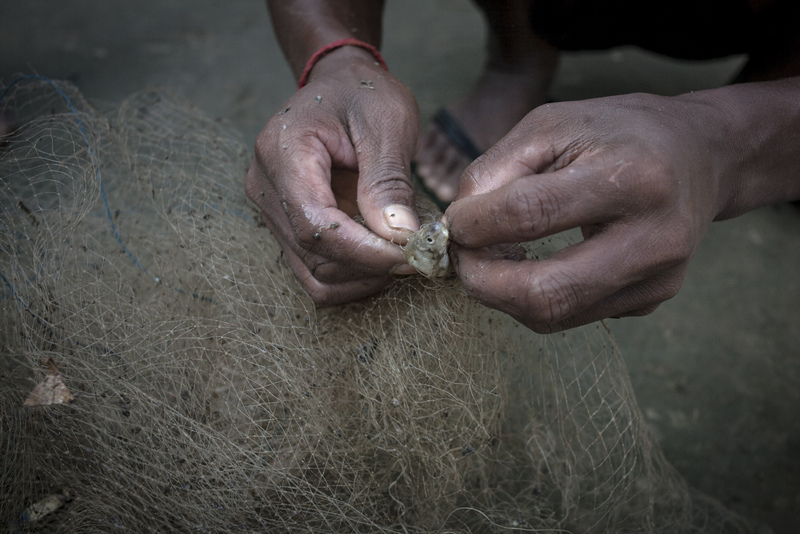 In order to address this situation, the Government of Nepal launched the Nepal Risk Reduction Consortium (NRRC), a program that is intended to counter this problem with community participation. 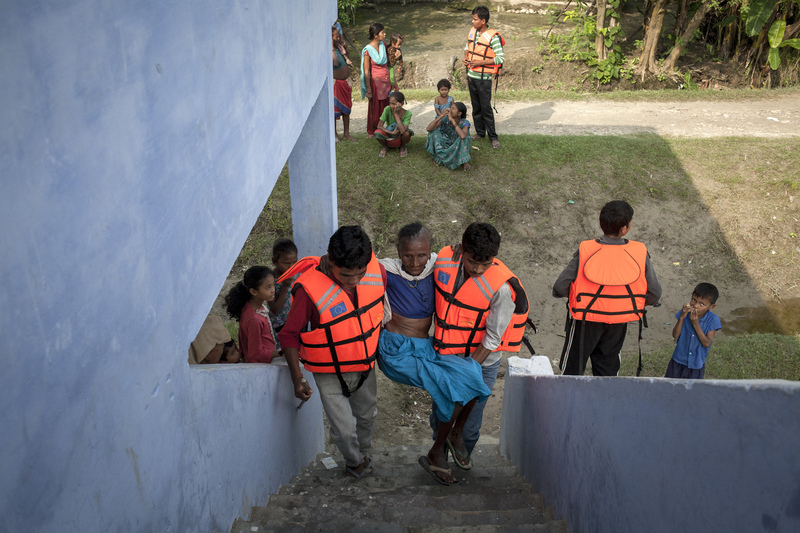 The goal of the program is to support implementation of activities to save lives from disasters, and to strengthen the government’s capacity for long-term and sustainable disaster risks reduction. NRRC, with support from various national and local organizations is working on risk reduction methods: such as early warning system, building raised households for the community for shelter during difficult times, organizing mock drills and spreading awareness through notices and community meetings. 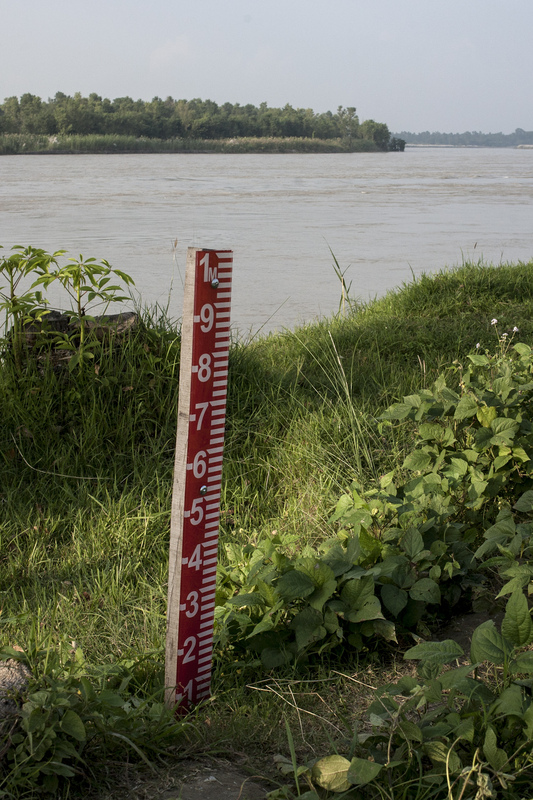 Water gauges have also been stationed at the Karnali River and on riverbanks of villages to measure water level. “I know our village is at high risk of floods. 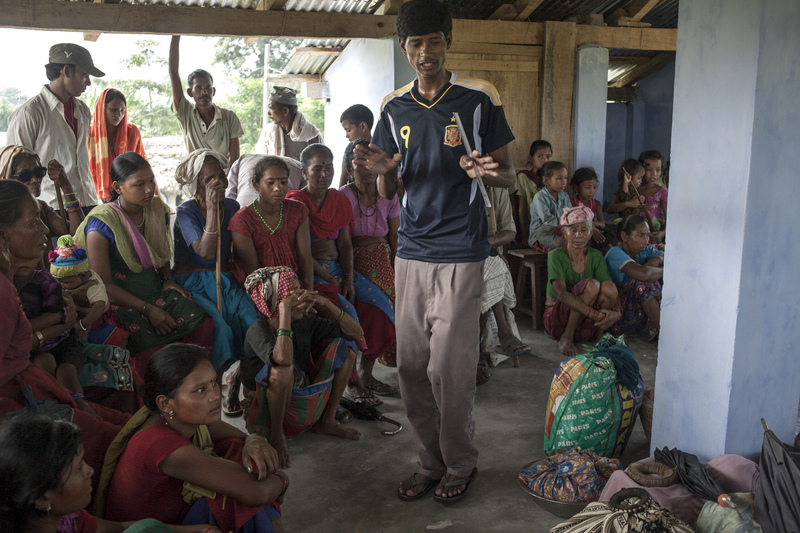 We regularly hold meetings to discuss and make sure villagers are aware of the risks. 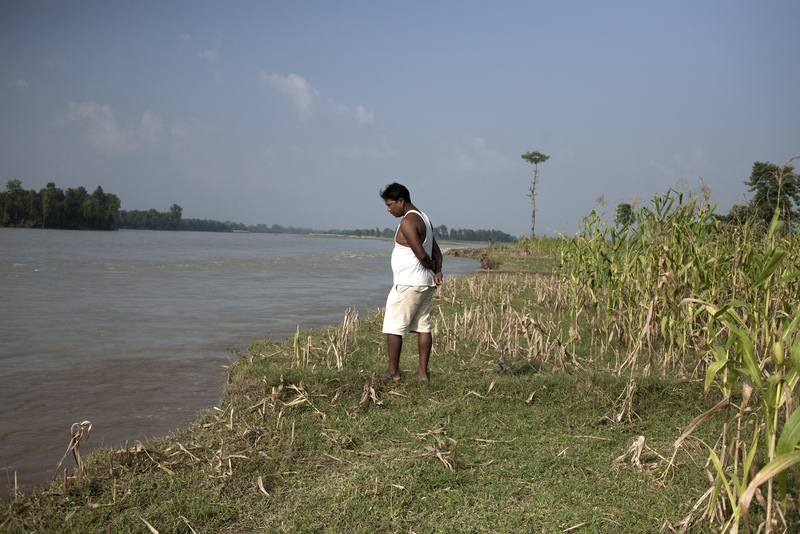 When the water level rises, we contact the gauge reader in Chisapani, and if there’s a flood risk, we move to safer places,” says Kanchan Chaudhary, 19, from Tighra village in Rajpur. Though the resilience of villagers is remarkable, the loss of fertile land and lives is irreversible. Likewise flooding creates havoc in this area every year. Villagers are looking for more comprehensive and long-term plans to cope with the hazardous situation. Copyright of all images is owned by Kishor Sharma. Please contact him at kisor.sharma (at)gmail.com if you wish to re-print any images. 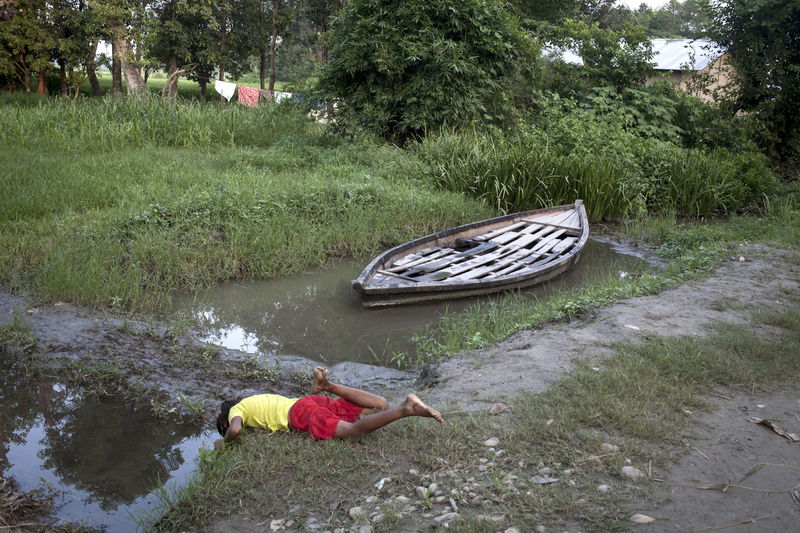 Kishor Sharma is a photographer from Nepal. He shot this series as an assignment for NRRC.